The latest release on Just Movement finds the label showcasing new remixes of Jorge Dept’s previously unreleased ‘Reborn’. The much loved Dutch imprint has called upon some of the labels primary artists to give their own unique take on the track. 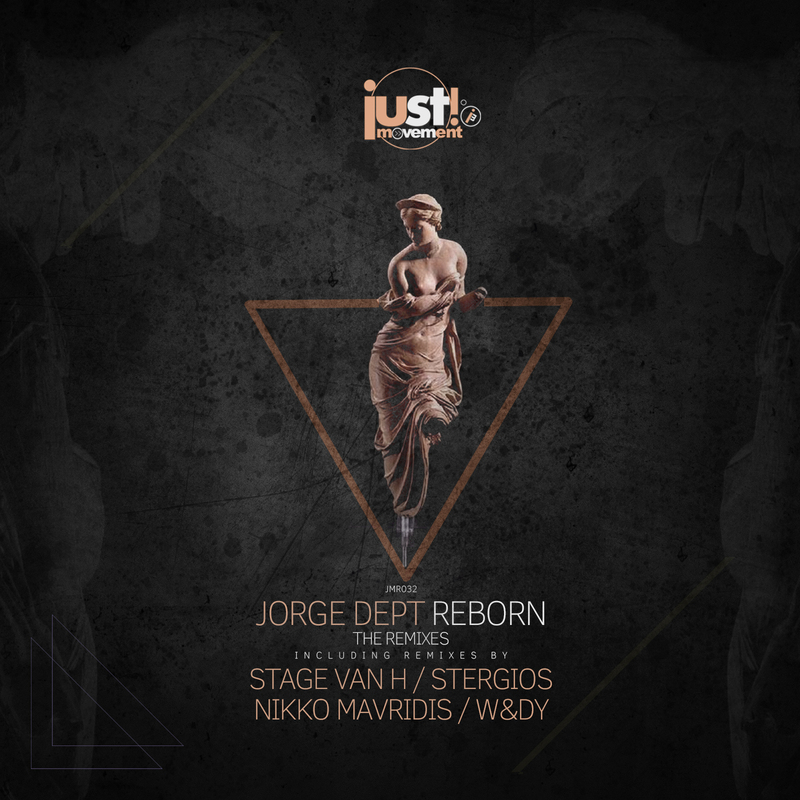 Featured on the release are Stage Van H, Stergios, Nikko Mavridis and W&DY. Just Movement label artist Stage Van H is first up and takes the track into deep, progressive territory with great results. Anchored by a tough kick and rolling drums the track picks up momentum quickly. Acidic rhythms and a twinkly melody soon fill the air and lift the first act to blissful proportions. The tracks centrepiece steals the show with its harmonic resonance and methodical build before a stripped back drop delivers a massive dance floor moment. Huge remix from Stage. Next up fellow Just Movement artist Stergios works his own magic with a tastefully melodic interpretation. A chugging groove gives great drive while a band of hypnotic motifs elevates the mood. As vocal stabs pan back and forth the melodic energy rises into the main break. As the main themes dissipate a tasteful build ups the intensity before a wave of white noise washes the harmonics away leaving the electric groove and distinctive vocal hooks to take you home. Excellent remix from Stergios. The third interpretation of ‘Reborn’ finds Nikko Mavridis making his second appearance on the label following a remix of Stergios ‘Sleeping Beauty’ in January of this year. The Greek veteran brings his distinctive dance floor vision to ‘Reborn’ with a deep, groovy rendition that sits as his career best work. The lead melodic elements come off a touch more indistinct throughout the first act before rising to prominence during a blissful main break. As the magical clusters slowly decay a dramatic drop summons the powerful groove to return leading the track to a gorgeous conclusion. Beautiful work from Nikko. The fourth and final interpretation of ‘Reborn’ is provided by W&DY who is making her third appearance on the label. The Dutch artist has also been a staple on Tash’s Movement Recordings over the years where her progressive techno sound has flourished. Never one to over produce and getting the most out of each production W&DY once again delivers a unique and invigorating interpretation here. Tough, techno minded and filled with catchy vocal hooks the track gets underway with great drive. Light motifs soon descend over the framework as it’s rhythmic cadence grows. Definitely the dubbiest of the four versions and it not only sits as a wonderful complement but should prove incredibly strong on a broad range of dance floors. Superb remix from W&DY and another excellent offering from Just Movement. Don’t miss it.